Concrete parking lots are a very important part of commercial real estate, especially in cities like Oklahoma City. They have to be able to handle plenty of traffic and withstand both extreme heat and frigid temperatures. Parking in many parts of Oklahoma City and the surrounding suburbs can be limited at times, but businesses want to make sure their customers have the best parking and accessibility to their establishment, and a concrete parking lot can be the right solution for many businesses. Being home to well over 600,000 residents, the demand for parking lots in Oklahoma City is very high. 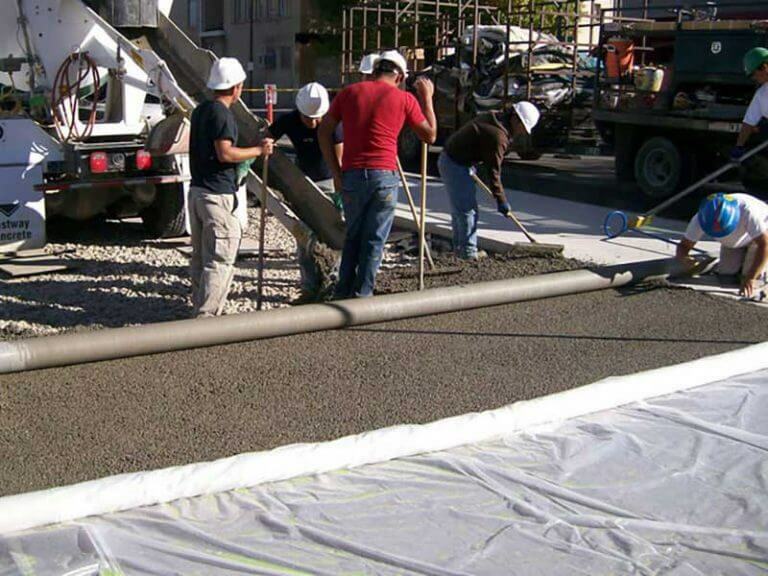 Bill’s Custom Concrete and Yard Drainage Solutions exists to serve homeowners, businesses, not-for-profit entities, and just about any other organization for all types of concrete construction, including concrete parking lots. We would like to educate you about some of the benefits of concrete parking lots versus asphalt to see if this solution is something you should consider. Concrete parking lots are generally more durable than their conventional asphalt counterparts. That’s because they have the capacity to withstand tremendous amounts of stress as opposed to asphalt, which has the tendency to break into pieces over time when subjected to extreme weight loads and frequent traffic. Moreover, concrete is more durable in nature, which also saves greatly on maintenance costs. While a concrete parking lot may cost more initially, they will last much longer than their asphalt counterparts and will pay for themselves over time. Our concrete parking lots are made to withstand the heaviest loads and be the most durable solution for the type of business that we build them for. 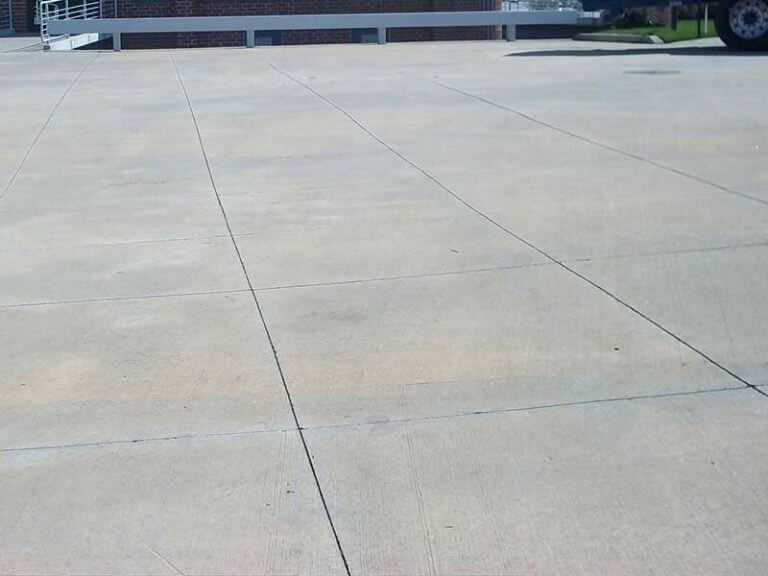 That’s because our concrete parking lots are reinforced while using 6-inches of concrete that has the ability to withstand stress load of up to 3500 pounds per square inch. We also make sure that our concrete parking lots are divided into sections of 10-12 feet depending on the overall size of the concrete parking lot that we are building. We also seal all of the joints using polyurethane for added flexibility during the various seasons of very hot weather, to very cold weather (including ice and snow) in Oklahoma, a fact that further guarantees long-term reliability. For these reasons, our concrete parking lots generally require less maintenance or even no maintenance at all. 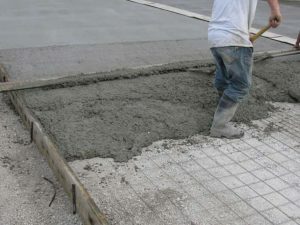 Our customers can be rest assured with the peace of mind they need to fully enjoy the benefits that our concrete parking lots will bring to their establishment. What Makes Bill’s Custom Concrete Different? We have been continuously serving all of the Oklahoma City for concrete construction since 1976. We have accumulated an enormous amount of work experience over the years which make us better positioned to provide the highest quality and value to our customers. Quality and customer service are the top objectives for Bill’s Custom Concrete. We want to make sure that all our customers have not only been satisfied with the quality of our work that we do, but have also delivered very favorable ratings. Indeed, we have received dozens of five-star ratings on Google, Yelp and other online directories. You can check out some of our 5 star reviews on Google by clicking here. This means that you, our future customer, is also assured of the same high quality services. We strive to make sure that all of our concrete structures are a work of art that you will enjoy for years and decades to come. In our 40-year history, we have constructed innumerable concrete driveways, patios, sidewalks, decks, concrete parking lots and other structures throughout the metro Oklahoma City Metro area, some of which are 40+ years old. They all attest to our A+ rating as well as first-class quality services.